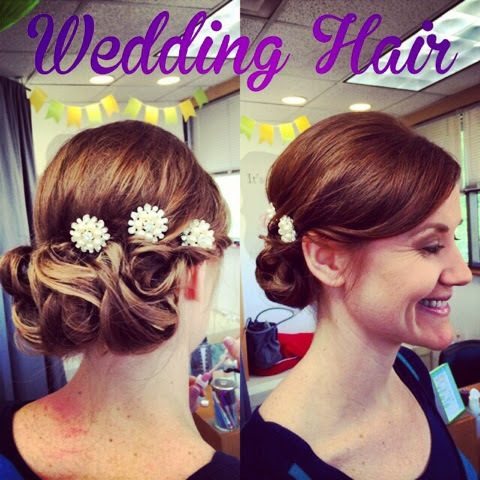 We love wedding over here at Shear Love, especially when it's a close friend that's the bride!! I had the opportunity on Monday to do Heathers hair and make up for their pictures. And Janessa was able to make the bride oh so happy with a French mani that sparkles! It was so fun and makes me so excited for them to get married this weekend!